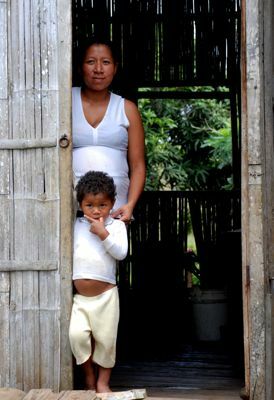 In Spanish language the word "Ventanas" means "Windows". 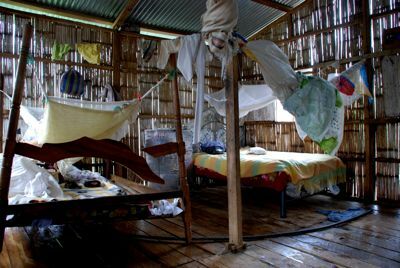 What windows of opportunity have the people who live in such conditions? 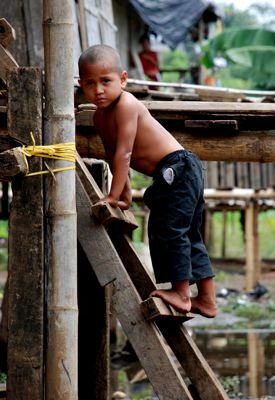 The poorest can only afford to live in the most inhospitable regions of the city that is being flooded each rainy season. 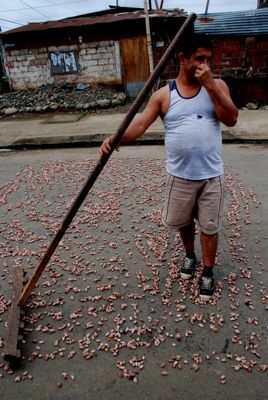 The more lucky ones, who live at the higher elevation, are able to work on the street in front of their houses like this man drying cacao beans on the blacktop. 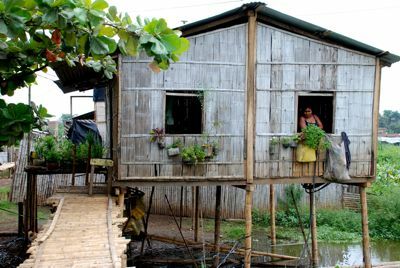 Large families live in makeshift bamboo houses without such basic necessities like toilet or running water. 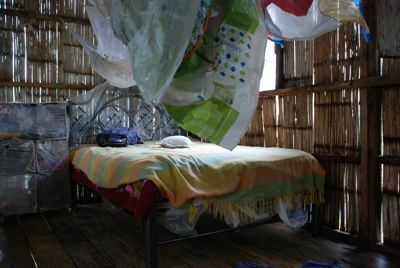 These shelters can only offer basic protection from the elements.